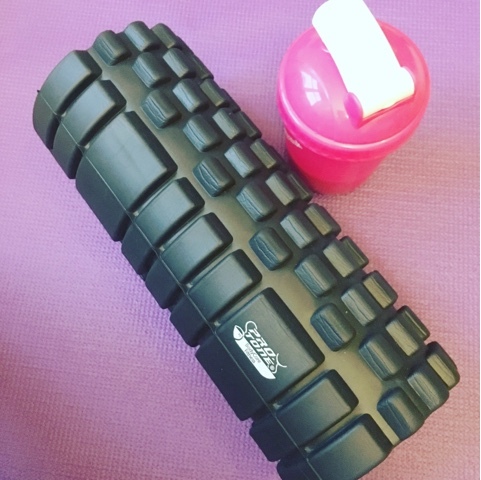 001) This week I seem to have spent most of my time making friends with my foam roller before and after gym classes. To be honest, I think it is making such a difference to my body. I would highly recommend that you purchase one if you do a lot of sports/gym activities. Amazon seem to have some good ones. 002) As someone who is continuously busy, chores seem to slip by the wayside if, like last weekend and this weekend, I am away. On Wednesday, I decided to wake up at 5.30 am to see if I could get anything done before work. In the end, I got a mini yoga workout done - not what I was supposed to be doing. There's always next time, right? 003) Speaking of yoga, I am trying to incorporate it a bit more into my life. I already do Body Balamce twice a week which does help after Body Pump, but I feel like I need a little more to help out further.